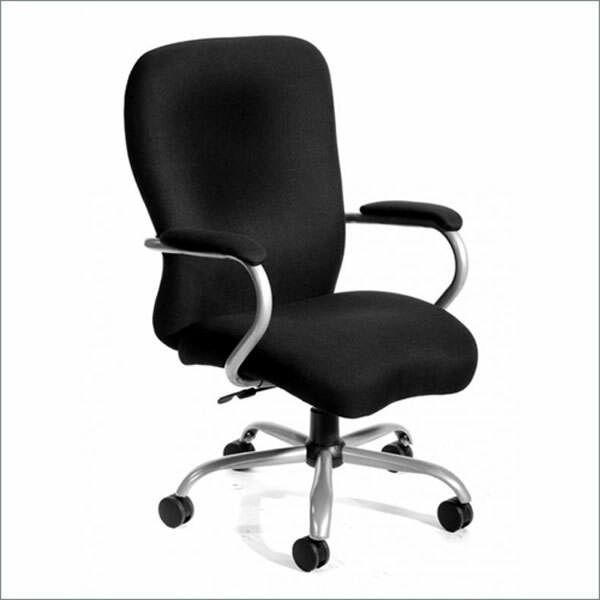 This heavy duty excutive chair has a weight capacity of 350 lbs and a pneumatic gas lift seat height adjustment. It also comes with a 2 paddle heavy duty spring tilt mechanism with tension control that can be locked in any position. Comes with a brushed metal base (pictured) or a black case.